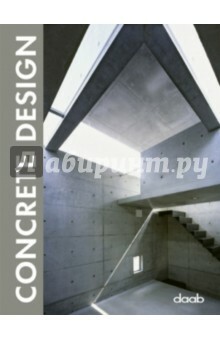 Today, concrete as a building material has a solid place in the designs of architects and engineers. The times when it used to be regarded as &quot;cold&quot; and even &quot;brutal&quot; are long gone now. On the contrary, the improved image of concrete is trendy and chic, but simultaneously unobtrusive and timeless. Thanks to new technologies, in recent years it has also been used both outside and inside as a building material for facades. Considered an esthetic, high-quality material which is functional yet can still be decorative, it is the building material of our age. Concrete is used and valued throughout the world and across all cultures. The Western nations, as well as Japan and South America, are famous for their sensitively designed and constructed concrete buildings. This book shows a diverse selection of innovative and esthetic structures that have both private and public functions, including residences and schools, company buildings and exhibition structures. An index with the designer&apos;s contacts is also enclosed.